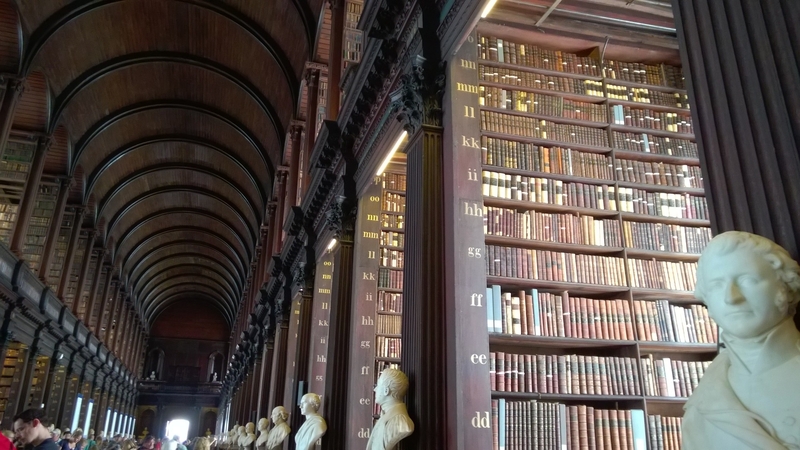 Anyone who has been to the famous Trinity College Library can tell you that the letters labeling the stacks are kind of misleading. The books are actually organized by size. The top shelves are smaller than the bottom ones (that’s not an optical illusion), and the books are stacked accordingly. The Jedi Archives as seen in Star Wars: Episode II Attack of the Clones were based on this Long Room. what an excellent choice for this challenge! Wonderful post! Now I feel inspired for this week’s challenge. Thank you so much. Thank you! Looking forward to seeing yours.